And here's one on Cardwell Terrace, Holloway N7, that always makes me smile. See also this lovely old blue-tiled laundry. Wow, just like on Eastenders. They are not easy to find if you are travelling and really need to do laundry! We were in the Highlands of Scotland and found one in Caol. It was awesome! The two ladies who were folding sheets, etc were hysterical. We do, we do! You commented on a couple of mine 5 years ago. 5 years, can you believe it? 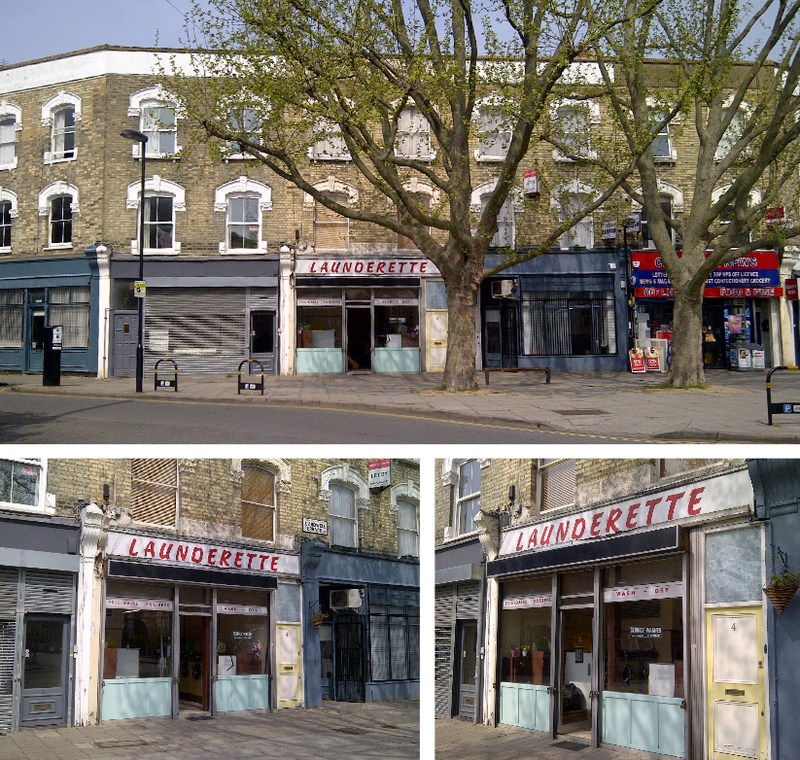 I've got a lot more pics of old London laundries and launderettes... I must put a collection together. And re Eastenders, it used to drive me crazy seeing Dot Cotton smoking all over the clean washing. But that was a great observation by the writers cos I remember needing to use a local lauderette decades ago and walked in to find a smokey fug as three woman were sat there have a chin wag over a few B+H. Ugh! That meant everything would need freshening up again. I didn't stay; I back went home, did some hand washing and waited for the new washing machine to arrive.